London is childs play! There are so many amazing things to do in London with kids. Let's be honest, travelling as a family unit can be stressful and it's often hard to find attractions for kids. Never fear, kids visiting London should be just as excited as their parents. Firstly, many of the best London tourist attractions are kid friendly, and secondly, without too much trouble you can work some great kid's attractions in to your itinerary. Visiting the London Zoo is one of the best things to do in London with kids. Obviously if you're a animal lover or photography enthusiast its a win-win. The kids are occupied and you've got the chance to indulge one of your hobbies. And, induldge you will. The London Zoo has daily events, special exhibitions and Europe's most diverse range of animals on show. Make like a cheetar and get to the zoo! Lego is translated to 'Play Well' and that's what you'll do! 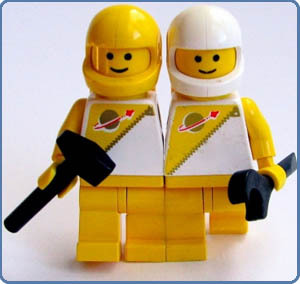 Legoland UK has grown into a larger than life attraction that is enjoyed by kids, teenagers, adults and the elderly. Even for the adults that have little to no interest in Lego, there is fun to be had. You're kids will be simply amazed by Legoland and I describe the experience as 'Disney but with blocks'. Rides, shows, exhibitions, Legoland's got it all. Lay your first block here! The London Duck Tours will have you and the kids screaming with joy. One minute you'll be cruising the streets of London and then next taking a dive into the River Thames. Seeing the city from land and water in one swoop - perfect, and you dont need to leave the comfort of your seat. Seeing London from a 'different' angle with knowledgeable and fun guide is a great way to tour London with kids. 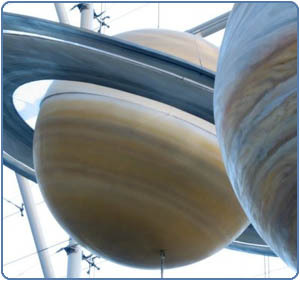 The Peter Harrison Planetarium is London's one and only planetarium and is part of the National Maritime Museum, located at Greenwich Park. Housed inside a 45-ton bronze-clad truncated cone the planetarium consists of a 120 seats. There's plenty to see and do at the museums and surrounding attractions (such as Greenwich Park, Royal Observatory and The Cuttysark)so take picnic rug and packed lunch - make a day of it. Technically speaking, these theme parks are outside London. But they're just outside, and make for a great day trip with the kids. 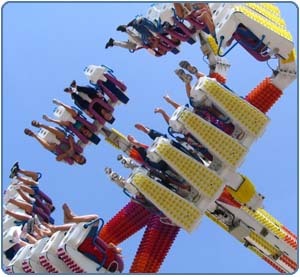 There's fun for the whole family with rides and attractions that range from magic shows and ferris wheels thru to rollercoasters and thrill rides that will have the bravest theme pakers screaming with excitement and joy. Smack bang right in the middle of London is the biggest screen in Britain. There's plenty of seats too, 500 of them in fact. 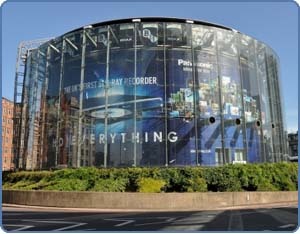 With a screen that's more that 20 meters high, you're in for an immersive experience. There's been no expense spared on the sound system either. This is one of the great things to do in London with kids because they can watch the film from the cheap seats with the adults enjoy a licensed bar and plush luxury seating.